We are excited to announce new extended hours, events and promotions as part of our free brewery tour and tastings in Pottsville, PA this summer. Summer is a busy travel season and we wanted to offer our loyal fans more opportunities and reasons to visit us this year. Extended hours will begin Saturday, May 26 and run through Saturday, September 1, and our free brewery tours will run every hour, Monday through Friday, from 10 a.m. to 3 p.m. Saturday tours will run every 45 minutes from 10:30 a.m. to 3 p.m. 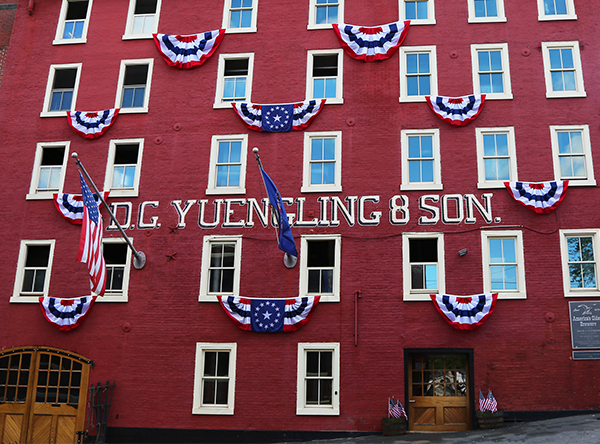 If you haven’t visited us yet, America’s Oldest Brewery is a short drive away in historic Pottsville, PA. Experience our nearly 200 years of American brewing history. Discover our famous hand-dug caves that were used for beer fermentation before refrigeration and our iconic brew house with its breath-taking stained glass ceiling. Check out how we survived Prohibition at our adjacent creamery business and current gift shop & tasting room. 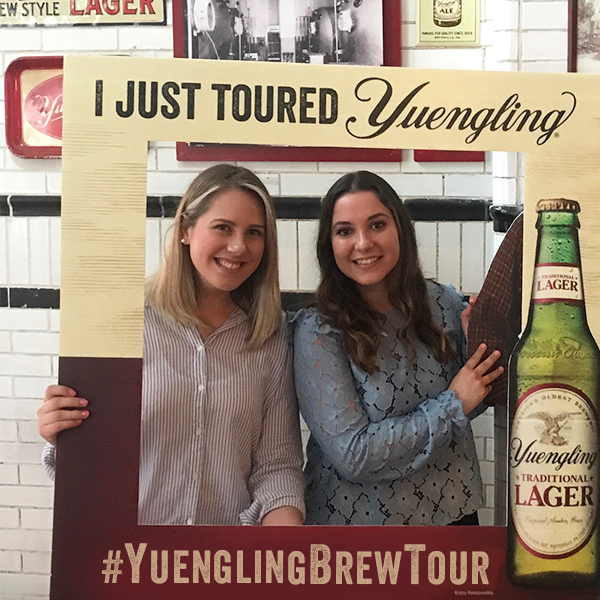 Starting in June, as part of the Yuengling American Summer Adventure Promotion, visitors will have a chance to win fun prizes and branded swag all summer-long by simply posting a photo of their brewery tour experience using #YuenglingBrewTour and tagging Yuengling on Facebook, Twitter and Instagram. A winner will be chosen every day between Memorial Day and Labor Day, and additional promotions will be announced via social throughout the summer. On June 20, we will celebrate National American Eagle Day – the eagle has been on our label since 1829 and is featured in our new “Spread Your Wings” campaign. From 12:30-1:30 p.m., visitors will see a live bald eagle at the brewery and have the opportunity to learn more from our friends at the Carbon County Environmental Education Center. Oh, did we mention that Yuengling’s summer brewery tours and tastings are free?